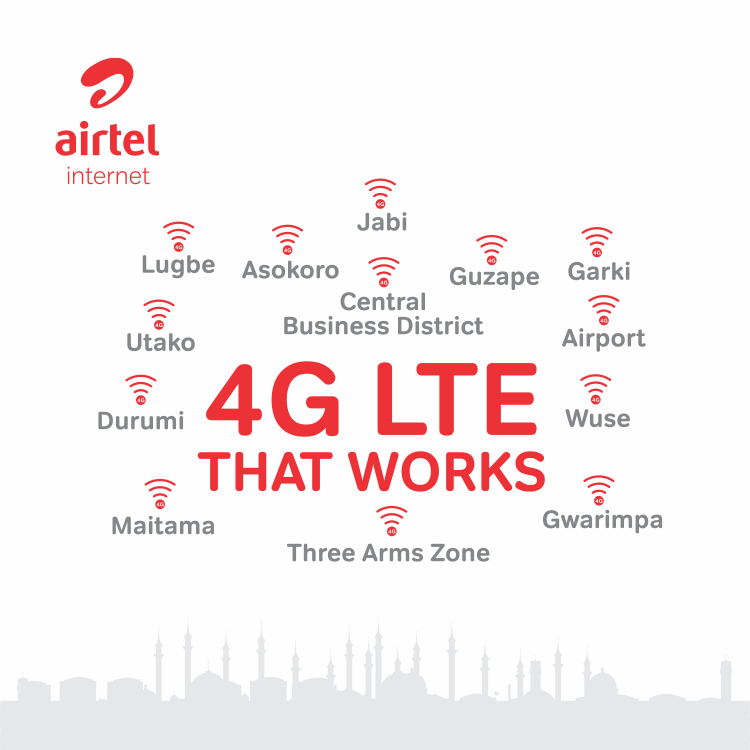 Airtel Nigeria has on May 4, 2018, announced the availability of its 4G LTE network in the whole of Abuja and as you know; you will be given FREE 4GB Data once you swap your airtel sim to a 4G SIM. This development from Airtel Nigeria is coming shortly after they launched their 4G LTE service here in Lagos and Ibadan. Abuja residents can now enjoy 4G LTE service that works. So far, Airtel 4GLTE network has just covered three states in 36, which means that more works still needs to be done so as to cover the whole 36 states. As you know, 4G LTE network is the upgrade of the 3G network which allows you to enjoy more internet speed to browse, download and stream videos in HD the way you like. 4G saves time and it’s satisfying to use. To activate your own 4G data, you need to get a 4G enabled device that supports Airtel 4G LTE band 3 (1800MHz), go to any nearest Airtel office or center and swap your SIM to a 4G SIM and you will get Free 4GB data that can be checked by dialing *140# USSD code. If you are living in Abuja, complain no more. AIRTEL 4G is here to stay.